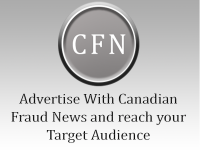 Oct. 29, 2018 (courtesy of Globalnews.ca) – Halton Regional Police have arrested and charged a 32-year-old Milton woman, who works as a psychic, for fraud after she allegedly scammed a victim of over $60,000. Dorie “Madeena” Stevenson of Milton was charged with extortion, fraud over $5000 and witchcraft — fortune telling. Police said she was operating a registered business known as Milton Psychic on Ontario Street South, just south of Main Street East, in Milton. Officers said an investigation was launched in May of this year after a victim came forward to police and said they had consulted with a psychic who allegedly deceived them of thousands of dollars. Investigators said following Stevenson’s arrest, a search warrant was executed at the business and evidence was found. “What we typically see is a tendency for perpetrators to take advantage of persons when they are in their most vulnerable state,” Halton police Det. Sgt. Dave Constantini said in a statement. Investigators said they believe there may be other victims that have yet to come forward. Police asked that any other victims involved should call 905-825-4747 ext. 2419, or contact Crime Stoppers at 1-800-222-8477.